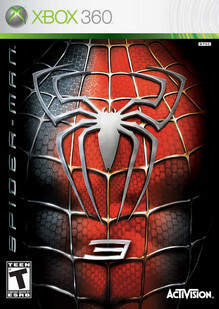 The Xbox 360 Games on Demand version of Spider-Man 3 was confirmed delisted on January 1, 2014. Activision’s initial license to Marvel’s Spider-Man and X-Men properties was established in 2000. In 2003 and again in 2005 Activision announced extensions to the “long-term, broad-based strategic alliance” through the year 2017. One exception to the list was Spider-Man: Shattered Dimensions which reappeared on Xbox 360 in August of 2015 while debuting on Steam in October and on PlayStation 3 in December. It was most recently delisted on all platforms in 2017. All of the other titles above were delisted alongside Activision’s Deadpool game which itself was relisted in 2015 before being delisted again in 2017. Activision’s more recent games based on Sony Pictures’ The Amazing Spider-Man movies were not delisted in 2014. Presumably, these two were secured under the original 2005 deal or a subsequent deal with Sony Pictures that may have expired in 2016, clearing the way for Insomniac’s Spider-Man game. They were ultimately delisted in January of 2017 alongside many of Activision’s Teenage Mutant Ninja Turtles games.